This post on Madame Medusa’s partner in crime Mr. Snoops is long overdue. 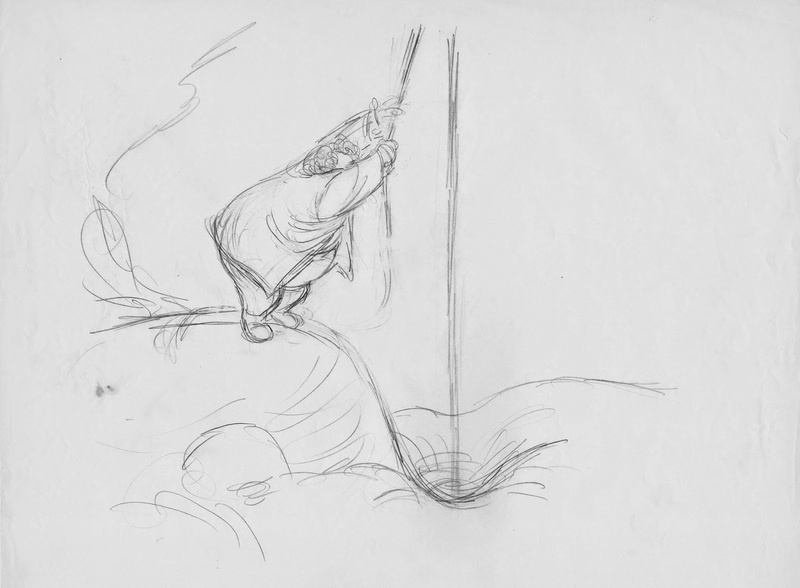 Brilliantly drawn and animatedly by Milt Kahl, his part in the movie The Rescuers is relatively small. 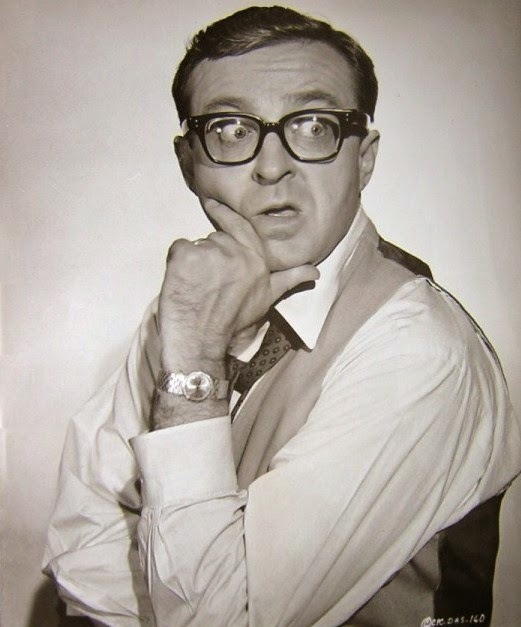 This is due to the fact that actor Joe Flynn, who voiced the character, died in 1974 during production of the film. 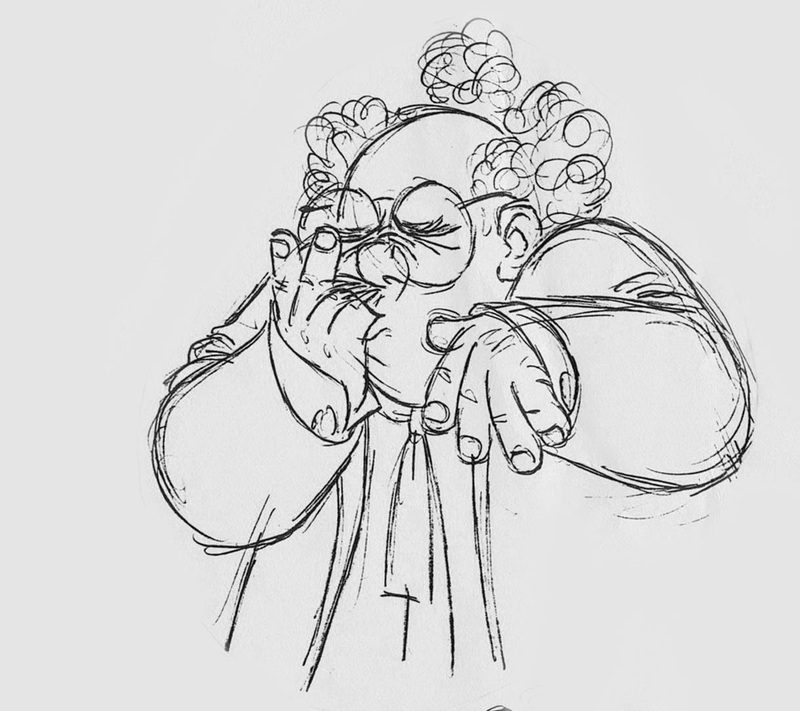 Director Woolie Reitherman decided to build Snoop’s role around the already recorded dialogue, instead of using a sound-alike actor for further development. 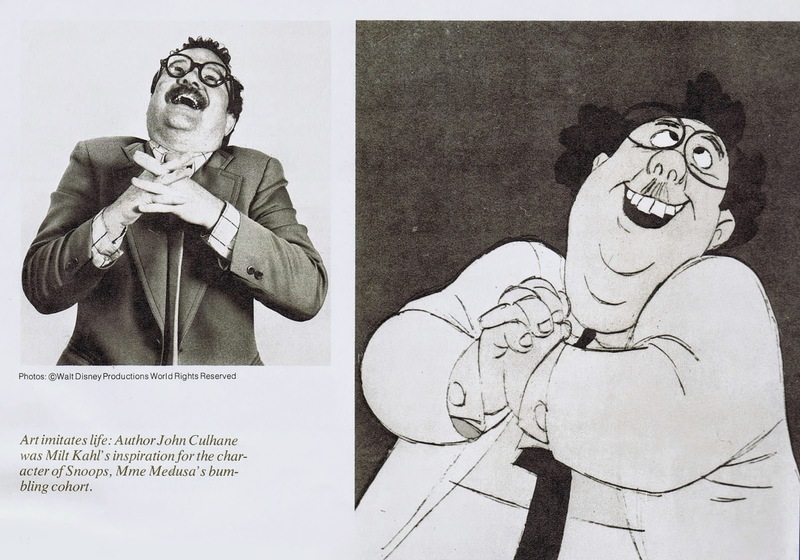 Snoop’s design is based on animation historian and teacher John Culhane. 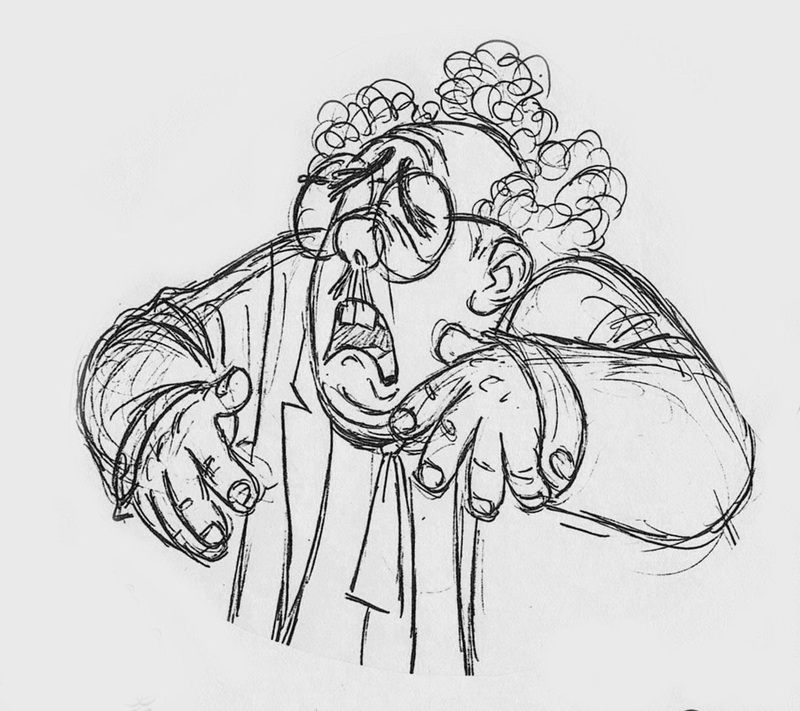 Milt had given a talk at his class in New York and was inspired by John’s appearance. 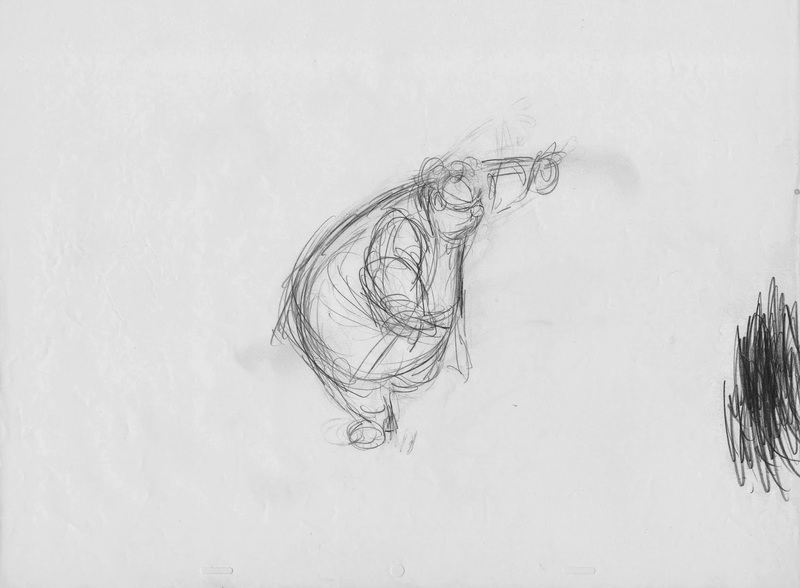 Snoops is one of many Kahl masterpieces. 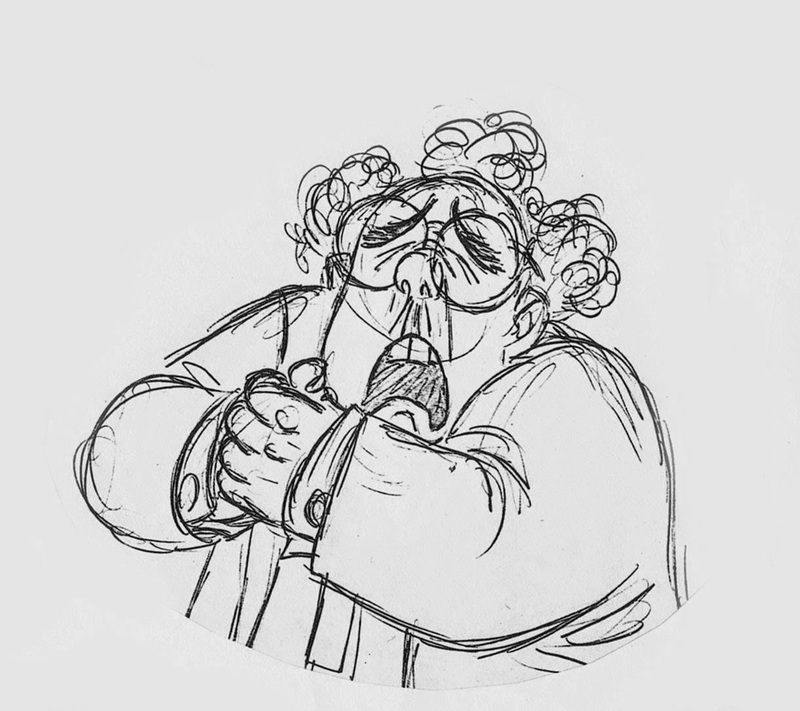 He is a chubby man, dressed in a baggy suit, wearing oversized glasses and 1970s platform shoes. 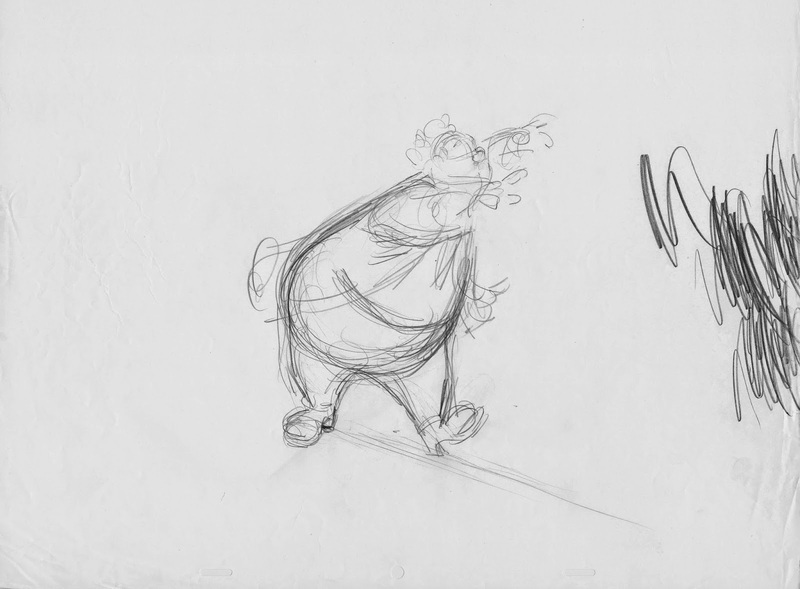 Milt took great care and delight in defining the character’s bulgy anatomy. 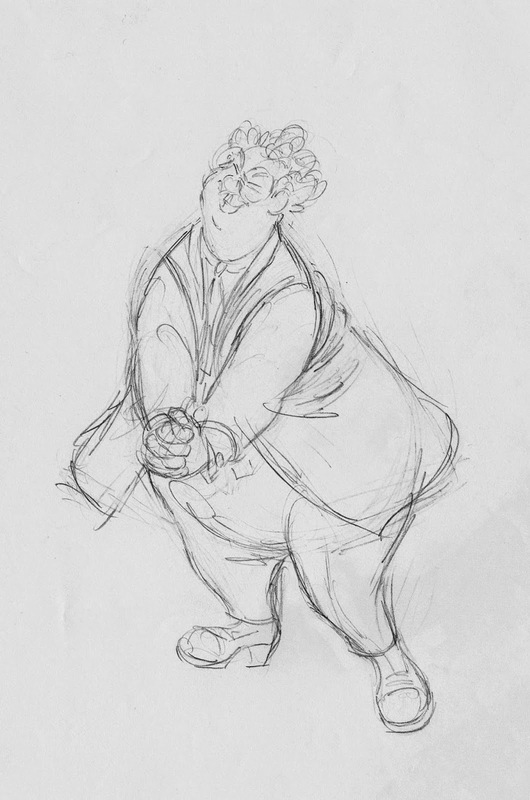 His arms are relatively short in contrast to his big pear shaped body. As in all of Milt’s characters, Snoop’s chubby hands are beautifully defined. 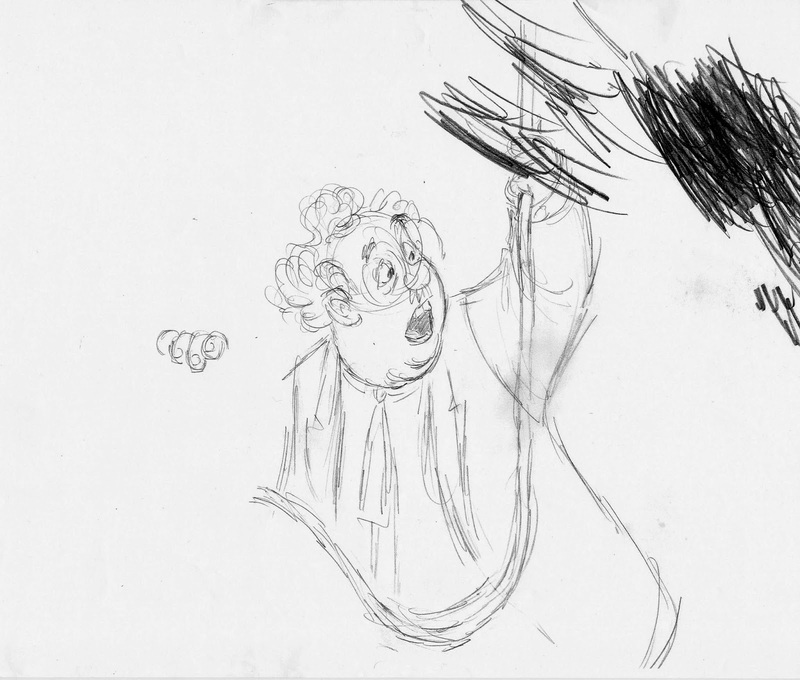 They are worth studying frame by frame, because…they are just plain fun to watch in slow motion. There is as much personality in these hands as there is in Snoop’s expressions. 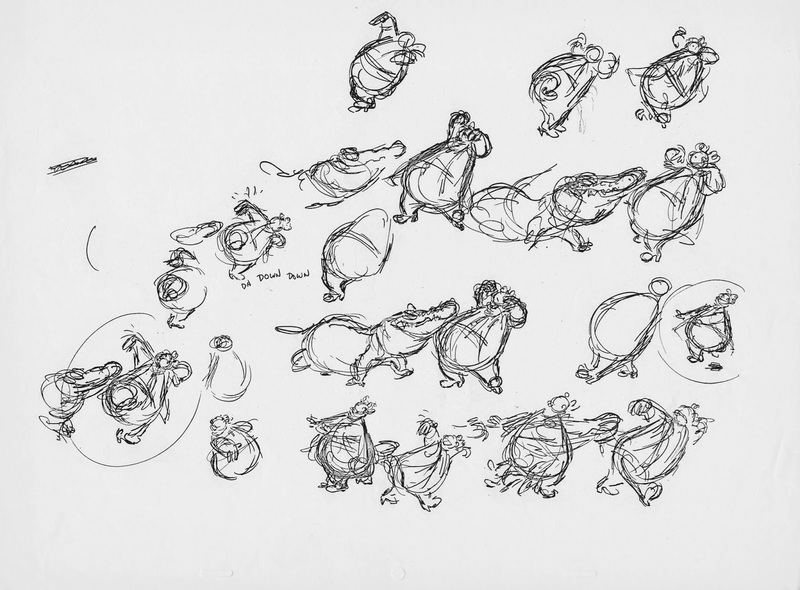 Here are a few of Milt’s roughs. Snoops pretends not to be intimidated by the aligators Nero and Brutus…but he is. This leads to some funny walks as he is trying to avoid them. 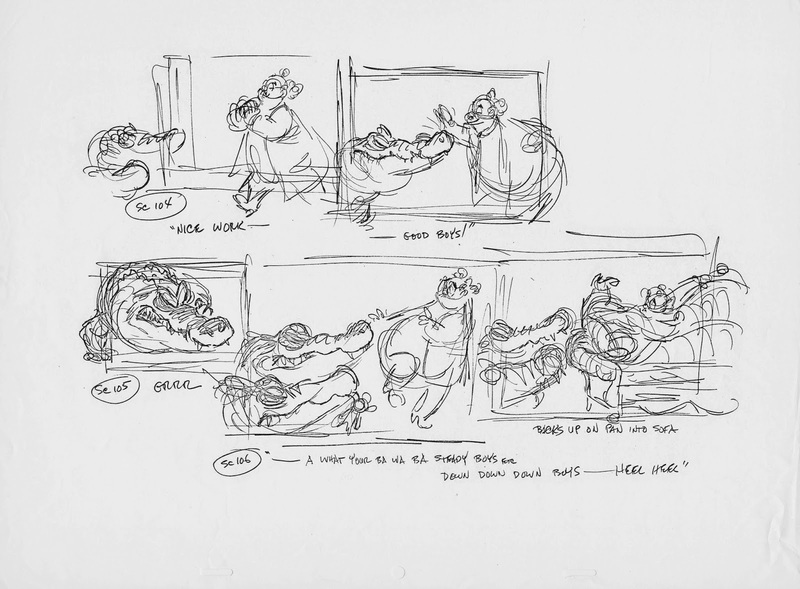 A couple of Milt’s thumbnail sheets. I have more material on Snoops for another post.